"Have you ever danced with the devil in the pale moon light? I have. I let my freak flag fly in this body paint by ArtistiCurves. 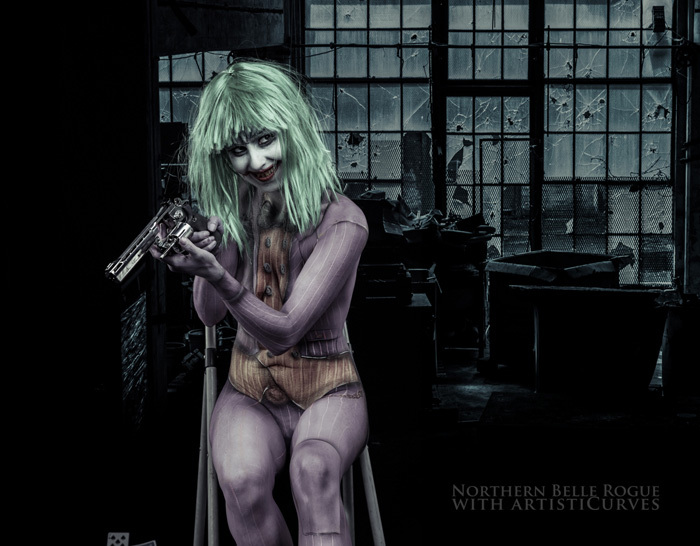 This particular look was based on the Arkham Asylum Joker with a bit of a feminine twist. Big thanks as always to ArtistiCurves for his work on the paint, photography and editing. It was a fun challenge to try and channel my inner psycho without fully going off the deep end. Y'know what they say, if you gotta go, go with a smile! ;)"